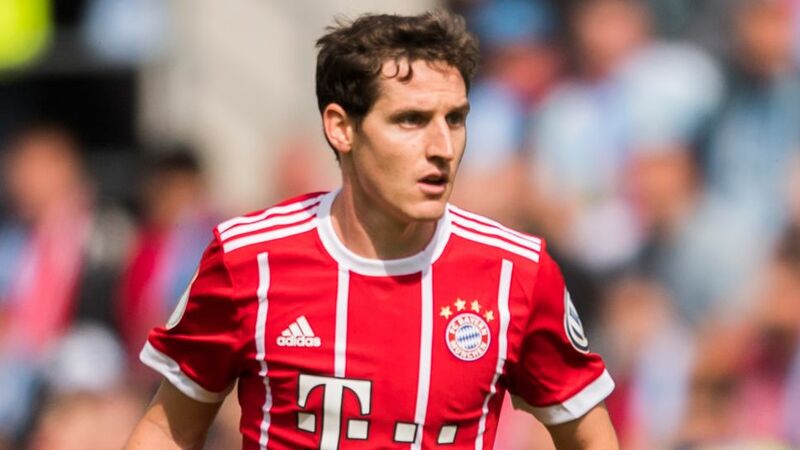 Sebastian Rudy has one regret about his summer move to Bayern Munich: that it didn't come soon enough for him to play alongside Xabi Alonso. Rudy agreed to join Bayern from Hoffenheim last January, but only moved to the Allianz Arena at the end of last season, just after Alonso had brought his career to an end. Rudy has slotted neatly into the sizeable hole left in the midfield by Alonso's departure, though the Germany international would have loved nothing more than having the sweet-passing Spain great beside him. "I always watched Xabi Alonso in recent years. I would have liked to have played with him and would have learned a lot from him. I could have gotten a lot from Alonso: his vision, clarity, his calmness. And his shot on goal. He always packed a punch." Rudy has had quite an impact of his own, tidily orchestrating the 3-1 Matchday 1 win over Leverkusen. With competition for places in midfield fiendishly high, he watched most of the Matchday 2 triumph at Bremen from the substitutes' bench, but has ambitions of establishing himself long term in the Bayern first team. "After a short pre-season, I think I have been able to lay down a marker in the early stages of the campaign," said the 27-year-old. "You have to be consistent throughout the year. I have to keep going in the same vein. My aim is to become an established name at Bayern Munich." Rudy, who picked up the first winner's medal of his club career in Bayern's DFL Supercup win over Borussia Dortmund, will get a further opportunity to stake his claim against his former club on Saturday with Bayern travelling to the Rhein-Neckar Arena where the midfielder spent seven fruitful years and left many friends. One of them is Hoffenheim forward Mark Uth, who has followed his former team-mate's progress closely, and was delighted to see him and Niklas Süle, who also swapped Sinsheim for Munich this summer, team up for a goal on the opening day of the campaign. "I still have regular contact with Sebastian. I'm happy for both of them: Sebi Assist, Niki Tor, it was nice to see that already," said Uth, who always had faith Rudy would be able to make the step up to Bayern. "I said from the start that Rudy would surprise everyone, and it's just as I had expected. Bayern's game suits him perfectly. He can play like that better than anyone."